It's getting to a point where before you can claim the tumblr name for a brilliant website, meme, or app idea, the online hive mind has already beaten you to it. 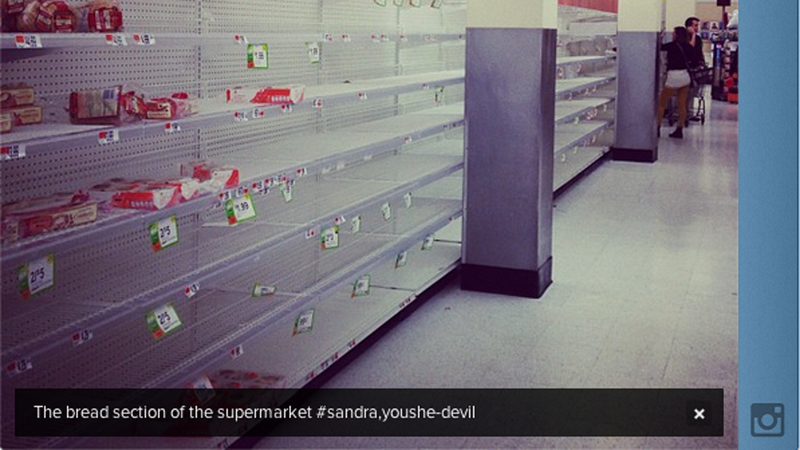 Instacane is the story of Hurricane Sandy, as told through Instagram photos. It's pretty mesmerizing; I've been clicking refresh every minute to find out the latest. Internet, what will you think of next?